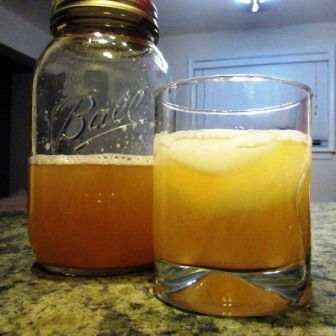 The benefits of switchel (also known as “haymaker’s punch”) have been known for centuries. In America, the beverage became a mainstay for farmers by the 18th century. The basic switchel recipe consists of water, apple cider vinegar, ginger and a natural sweetener (molasses, maple syrup, or honey). Switchel is known for its thirst-quenching benefits, and it is especially helpful for staying hydrated in hot weather. However, it has several other potential health benefits, including the following. Electrolyte balance - The top three electrolytes (electrically charged minerals) in the body are sodium, potassium, and chloride. The balance of electrolytes in the body is critical for the function of our cells, tissues, and organs. Switchel is rich in electrolytes, especially potassium, and is a much healthier version of any commercial electrolyte beverage such as Gatorade or Powerade. Inflammation and immunity – Ginger is a natural anti-inflammatory substance and is an effective digestive aid. Many people use ginger alone for soothing an upset stomach or acid reflux or for reducing bloating and gas. Ginger is also a natural immune booster and it supports the body’s natural detoxification processes. PH balance – Raw, unfiltered apple cider vinegar can help to balance your body’s pH, and is known for many other health benefits. It is a liver and lymph tonic, it helps with detoxification, and it contains many minerals and vitamins as well as probiotics. What I love about switchel is that it is so easy to make at home with ingredients I usually keep around. But it is important to use the highest quality ingredients. Water - It's the main ingredient, and the most important criteria is that the water is filtered of most contaminants. I prefer filtered water that contains the natural occurring minerals in water over demineralized water (such as distilled or R.O water). However, since the switchel ingredients contain a lot of minerals, distilled and R.O. water will also work. Apple cider vinegar - I highly recommend using raw, unfiltered apple cider vinegar. I personally use and recommend Bragg’s organic raw apple cider vinegar. Ginger - Fresh ginger is going to be most beneficial but if unavailable, you could also use organic ginger powder. Note: Use glass jars or bottles rather than plastic since the apple cider vinegar is acidic and can potentially cause plastics to leech into the beverage. Dr. Josh Axe; Switchel: The Hipster Fermented Drink that Benefits Your Gut.